The funding will support around a hundred local building projects to help rural communities better connect. This new scheme, which will help around 100 community building projects to get on site and start work, was opened by Rural Affairs Minister Lord Gardiner and Exchequer Secretary to the Treasury, Robert Jenrick at the Oxton Village Hall in Nottinghamshire. 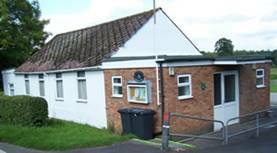 The application must be a village hall or similar rural community building and a registered charity. New build projects will not be eligible to apply to the fund due to their high costs and long timescales. For information on thr grant process and how to apply, click here.